An in-depth analysis on how Islam arrived in three different regions of the Asian continent and is now perceived and lived by the local populations, with a common denominator being the purity of their belief and the strong identification they have towards Islam. If a given spot is hit by an earthquake of a given intensity, the tremor’s force will be higher in the center than in the periphery because force and its energy will dwindle as it moves further away from the point of impact. For faith, in general, the effect is reverse, the further one moves from the center, the stronger and purer it gets. Indeed, in Christianity the further one moved from the Vatican, in Rome, the more devout the people are, as is the case in Latin America and in the Philippines. This concept also applies to Islam, and thus the people of Pakistan, Malaysia and Indonesia are definitely very devout and pious in their Islam day in and day out, as a result. In the following paper I will attempt to look at how Islam arrived in three different regions of the Asian continent: South Asia in the case of Pakistan, Central Asia represented by Uzbekistan and South East Asia symbolized by Malaysia and Indonesia, and settled down with time and how it is perceived and lived by the local population. A common denominator of these countries is the purity of their belief, meaning the strong identification they have towards the pure Islam. Unfortunately this concept is expressed in Pakistan by a certain amount of violence towards the other. The other here, meaning anyone not Sunni. Thus, the Shiite and the Christians have been unduly victimized by the majority of people of Taliban obedience. In Uzbekistan, Islam has been muzzled and subdued over decades during the Soviet years and mosques were turned in youth centers like the famous Mir al-Arab one, and religion was made to become a mere folklore. Today, there is in Uzbekistan a religious renewal, in spite of the fact that the regime in place is secular and atheist and is a mere mirror image of the Soviet era, trying to keep religion at bay. In Malaysia and Indonesia, there is an interesting version of Islam: open, tolerant and progressive, worth studying and imitating. Indeed, the constitutions of these countries have inscribed in gold freedom of belief and religion and equality before law to all citizens. As a result of that, these two countries are emerging and flourishing economies that have achieved a notable success in their area, and they are the home of millions of devout Muslims that practice pure and tolerant religion away from any extremism that has marred many other Muslim countries around the world. 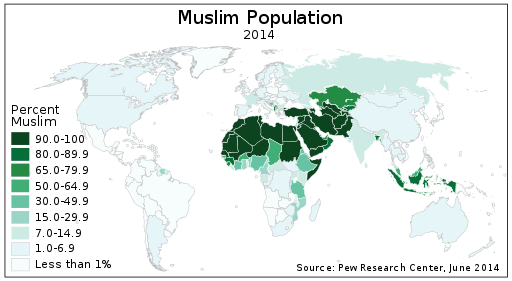 The Muslim population of the world map by percentage of each country, according to the Pew Forum. Source:Wikipedia Commons. At first view, one wonders how Islam, a religion starting in the Arabian Peninsula, a land far away and culturally different has been able to spread successfully in this continent so diverse and so different? One wonders quite rightly so, what actually caught the attention of the people of this vast continent to embrace this alien and austere religion: is it the magic of Qur’an, the word of Allah, or the concept of monotheism التوحيد or the strength of faith in the God, one and only بالواحد الأوحد الايمان or merely the monotheist humanistic message? Many observers consider that the expression of this stark opinion by a person as important as the Pope, in an official and public engagement, is a direct and clear call for hatred against the Muslims and an encouragement for their ostracism and banishment on the international scene. This kind of declaration, in an activity as this, increases stereotypes about Islam and Muslims and feeds Islamophobia that is sweeping the Western world, as wildly as never before. According to Wikipedia,iv the majority of Indonesians adhere to the Sunni Muslim tradition mainly of the Shafi’i madhhab. In general, the Muslim community can be categorized in terms of two orientations: “modernists,” who closely adhere to orthodox theology while embracing modern learning; and “traditionalists,” who tend to follow the interpretations of local religious leaders (predominantly in Java) and religious teachers at Islamic boarding schools (pesantren). If Islam had, as some Westerners argue, spread by the sheer force of the sword, the population, like, in the case of colonialism, would have shown fierce resistance to this alien incomer and got rid of it. Most of these countries got rid of colonialism, in the long run, after all, through either peaceful or armed resistance, but, on the other hand, they have never showed any form of repugnance or animosity towards Islam, when in fact they could have done it at will and returned to their initial faiths and no one could have stopped them, but they did not. Instead, Islam is alive and kicking in this continent and it is even flourishing and exhibiting an interesting humanistic philosophy and tolerant message. Trade relations between Arabia and the Sub-continent dated back to ancient times. Long before the advent of Islam in Arabia, the Arabs used to visit the coast of Southern India, which then provided the link between the ports of South and South East Asia. After the Arab traders became Muslim, they brought Islam to South Asia. A number of local Indians living in the coastal areas embraced Islam. However, it was the Muslim conquests in Persia, including the provinces of Kirman and Makran, which brought the Arabs face to face with the then ruler of Sindh, who had allied with the ruler of Makran against the Muslims. But, it was not until the sea borne trade of the Arabs in the Indian Ocean was jeopardized that serious attempts were made to subjugate Sindh. During the reign of the great Umayyad Caliph Walid bin Abdul Malik, Hajjaj bin Yousaf was appointed as the governor of the Eastern Provinces. At that time, Raja Dahir, a Brahman, ruled Sindh. However, the majority of the people living in the region were Shudders or Buddhists. Dahir treated members of these denominations inhumanly. They were not allowed to ride horses or to wear a turban or shoes. Sindhi pirates, protected by Dahir, were active on the coastal areas and whenever they got a chance, they plundered the ships passing by Daibul. In 712, Hajjaj sent 6,000 select Syrian and Iraqi soldiers, a camel corps of equal strength and a baggage train of 3,000 camels to Sindh under the command of his nephew and son in-law, Imad-ud-din Muhammad bin Qasim, a young boy of just seventeen years. He also had a ‘manjaniq’, or catapult, which was operated by 500 men and could throw large stones a great distance. On his way the governor of Makran, who provided him with additional forces, joined him. Also, a good number of Jats and Meds, who had suffered at the hands of native rulers, joined the Arab forces. Indonesian Muslims recite the Quran in Masjid Istiqlal, Jakarta, Indonesia. Photo by Gunawan Kartapranata, Wikipedia Commons. Muhammad bin Qasim first captured Daibul. He then turned towards Nirun, near modern Hyderabad, where he easily overwhelmed the inhabitants. Dahir decided to oppose the Arabs at Raor. After a fierce struggle, Dahir was overpowered and killed. Raor fell into the hands of the Muslims. The Arab forces then occupied Alor and proceeded towards Multan. Along the way, the Sikka (Uch) fortress, situated on the bank of the Ravi, was also occupied. The Hindu ruler of Multan offered resistance for two months after which the Hindus were overpowered and defeated. Prior to this, Muhammad bin Qasim had taken Brahmanabad and a few other important towns of Sindh. Muhammad bin Qasim was planning to proceed forward when the new Caliph Suleman bin Abdul Malik recalled him. After the departure of Muhammad bin Qasim, different Muslim generals declared their independence at different areas. The Muslim conquest of Sindh brought peace and prosperity to the region. Law and order was restored. The sea pirates of Sindh, who were protected by Raja Dahir, were crushed. As a result of this, sea trade flourished. The port of Daibul became a very busy and prosperous commercial center. When Muhammad bin Qasim conquered Sindh, the local people, who had been living a life of misery, breathed a sigh of relief. Qasim followed a lenient policy and treated the local population generously. Everyone had full religious freedom and even the spiritual leaders of local religions were given salaries from the government fund. No changes were made in the local administration and local people were allowed to hold offices – particularly in the revenue department. All taxes were abolished and Jaziah جزية was imposed. Everyone was treated equally. Poor people, especially Buddhists, were very impressed by his policies and many of them embraced Islam. A number of Mosques and madrasas were constructed in important towns. In a short period of time Sindh became a center of Islamic learning. A number of religious scholars, writers and poets emerged and they spread their knowledge. The Muslims learned Indian sciences like medicine, astronomy and mathematics. Sanskrit books on various subjects were translated into Arabic. During the reign of Haroon al Rasheed, a number of Hindu scholars were even invited to Baghdad. The establishment of Muslim rule also paved way for future propagation of Islam in Sindh and the adjoining regions. Later Sindh also attracted Ismaili missionaries who were so successful that Sindh passed under Ismaili rule. With the conquest of Lahore by Mahmud of Ghazni, missionary activity began again under the aegis of Sufis who were the main agents in the Islamization of the entire region. The opening of Central Asia and the implementation of Islam was completed in the eighth century A.D., and brought to the region a new belief and culture that until now continues to be dominant. The Muslims first entered Mawarannahr in the middle of the seventh century through raids during their conquest of Persia. 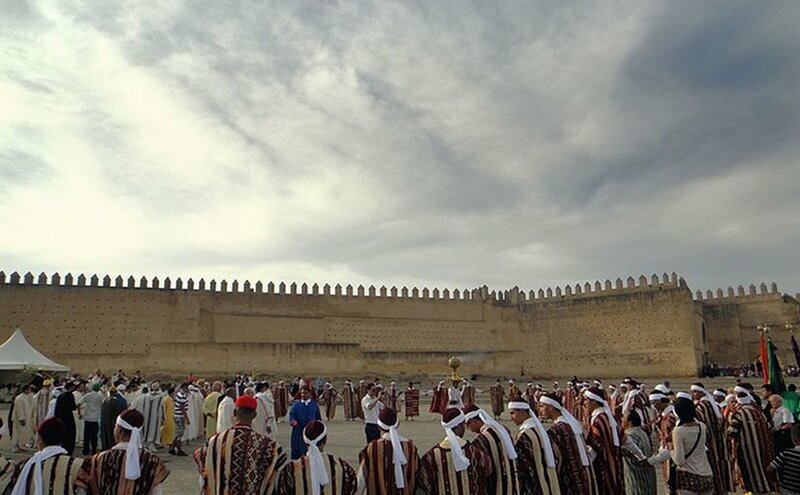 The Soghdians and other Iranian peoples of Central Asia were unable to defend their land against the Khilafah because of internal divisions and the lack of strong indigenous leadership. The Muslims, on the other hand, were led by a brilliant general, Qutaybah ibn Muslim, and were highly motivated by the desire to spread the Islamic religion. Because of these factors, and the strength of the Islamic ‘aqeedah and the nature of the shari’a, the population of Mawarannahr was easily liberated. The new way of life brought by the Muslims spread throughout the region. The native cultures were replaced in the ensuing centuries as Islam molded the people into a single ummah أمة – the Islamic ummah. Howeverة the destiny of Central Asia as an Islamic region was firmly established by the Khilafah’s (Caliph Abu’l-Abbas) victory over the Chinese armies in 750 in a battle at the Talas River. 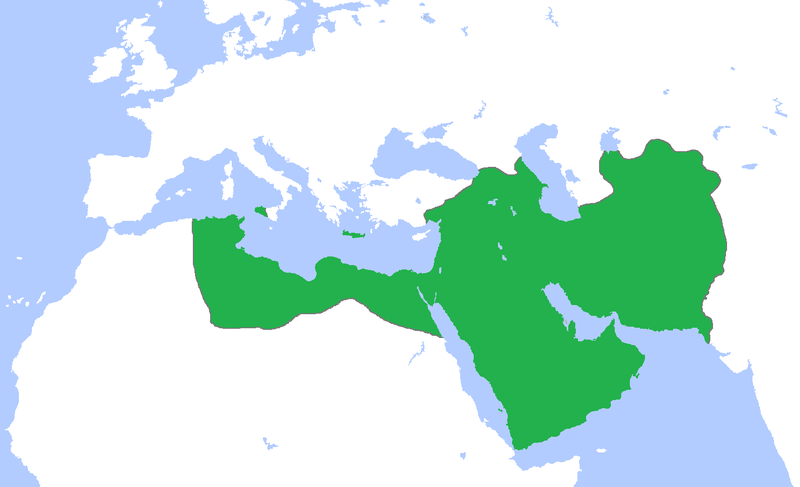 Map of the Abbasid Caliphate at its greatest extent, c. 850. Source: Wikipedia Commons. Under Islamic rule, Central Asia was an important centre of culture and trade for centuries. The language of government, literature, and commerce, originally Persian became Arabic (however as the Abbasid Caliphate began to weaken and Arabic became neglected, the Persian language began to regain its pre-eminent role in the region as the language of literature and government). Mawarannahr continued to be an important political player in regional affairs. During the height of the Abbasid Caliphate in the eighth and the ninth centuries, Central Asia and Mawarannahr experienced a truly golden age. Bukhara became one of the leading centers of learning, culture, and art in the Muslim world, its magnificence rivaling contemporaneous cultural centers such as Baghdad, Cairo, and Cordoba. Some of the greatest historians, scientists, and geographers in the history of Islamic culture were natives of the region, and one of the copies of the Quran originally prepared in the time of Caliph Uthman is kept in Tashkent. During the comparatively peaceful era of Islamic rule, culture and the arts flourished in Central Asia. Jizya جزية was imposed upon all who refused to accept Islam and the Jewish historian Benjamin of Tudela noted during his travels in 1170 the existence of a Jewish community numbering 50,000 in nearby Samarkand. The actual timing and introduction of the Islamic religion and its practice to Southeast Asia is subject to debate. European historians have argued that it came through trading contacts with India whereas some Southeast Asian Muslim scholars claim it was brought to the region directly from Arabia in the Middle East. Other scholars claim that Muslim Chinese who were engaged in trade introduced it. Whatever the source, scholars acknowledge that Muslim influence in Southeast Asia is at least six centuries old, or was present by 1400 A.D. Some argue for origins to at least 1100 A.D. in the earliest areas of Islamic influence, such as in Aceh, northern Sumatra in Indonesia. The scholar Anthony Reid, Professor of History at the University of California Los Angeles, argues that this process of Islamization (and Christianization in the Philippines) occurred rapidly in Southeast Asia especially during the period of 1550-1650. For example, Islam became strong in eastern Indonesia, especially coastal kingdoms of Sulawesi, Lombok, Kalimantan, Sumbawa, Makassar, and in Sulu and Magindanao (Cotabato Province) in the southern Philippines from 1603-1612. This does not mean that rulers and their subjects in these areas were totally devoted to upholding all of the basic rules of Islam. It means that Islamic influence was present, as evidenced through ruling elites’ obligation to renounce the consumption of pork and to pronounce the daily five prayers. Some also practiced circumcision during this period. Islam is the official religion of the Islamic Republic of Pakistan, which has a population of about 190,291,129. The majority (95-97%) of the Pakistan people are Muslim while the remaining 3-5% is Christian, Hindu, and others. Sunnis are the majority while the Shias make up between 5-20% of the total Muslim population of the country. Pakistan has the second largest number of Shias after Iran, which numbers between 16.5 million to as high as 30 million. Pakistan occupies a unique place in the Muslim world. It is the only state explicitly established in the name of Islam, and yet fifty years after its independence, the role and place of Islam in the country remains unresolved. The basic divide regarding the relationship between religion and the state pits those who see the existence of Pakistan as necessary to protect the social, political and economic rights of Muslims, and those who see it as an Islamic religious state. During the past fifty years, the public has resoundingly rejected Islamic political parties in every general election. A combination of domestic and international developments over the past two decades, however, appears to be pushing Pakistan in the direction of a more explicitly religious state. Just in the last year, for example, the government of Pakistan has introduced strict shari’a laws and there has been a rise in Shia-Sunni violence. Some analysts have even begun to consider the prospect of a Talibanized Pakistan. The shift from liberalism to a more overt religious character for the country has been affected by developments in neighboring Iran, Afghanistan and India. Sufism has a strong tradition in Pakistan. The Muslim Sufi missionaries played a pivotal role in converting the millions of native people to Islam. As in other areas where Sufis introduced it, Islam to some extent syncretized with pre-Islamic influences, resulting in a religion with some traditions distinct from other parts of the Muslim world. The Naqshbandiya, Qadiriya, Chishtiya and Suhrawardiyya silsas (Muslim Orders) have a large following in Pakistan. Sufis whose shrines receive much national attention are Data Ganj Baksh (Ali Hajweri) in Lahore (ca. 11th century), Baha-ud-din Zakariya in Multan and Shahbaz Qalander in Sehwan (ca. 12th century) and Shah Abdul Latif Bhitai in Bhit, Sindh and Rehman Baba in Khyber Pakhtunkhwa Province. Pakistan is wallowing in a real quagmire which encapsulates Pakistan’s current problems and their genesis. They are viral issues that occupy considerable space even outside Pakistan such as the army’s omnipresent role, the Islamists, the existential threat at the hands of al Qaeda and Tehrike Taliban Pakistan, and the persistent fears of an Islamist or military re-takeover in a realistic perspective. The contentious themes of democracy, development, and security in Pakistan today are closely interlinked, the political and economic experience of the past 50 years show that neither democracy nor capitalist development can survive without the other. In Pakistan, tradition and family life continue to contribute long term stability; the areas where very rapid changes are taking place are large population increase, urbanization, and economic development, and the nature of civil society and the state. Pakistan has wide range of ethnic groups and popular culture is strife. Since 2001, terrorism has grown to become the biggest security threat to Pakistan, although a range of other internal security threats are still present, due to enduring problems with sectarianism, religious extremism, drug and weapon smuggling, and violent ethnic and religious disputes. The government is playing its role in addressing many of the security threats and conflicts faced by Pakistan but the role of civil society has been crucial. Some local and international NGOs and think-tanks have been executing projects to promote inter-faith harmony, women rights, and peace building within Pakistan. Internally, the wave of terrorism and religious extremism spearheaded by the Taliban has destabilized and polarized the country. The Taliban phenomenon in Pakistan has, also, important repercussions on the situation in Afghanistan and indirectly on its relations with the US because of the close links between Pakistan Taliban (TTP) and the Afghan Taliban. The issues of the economy and the Taliban constitute the most serious challenges awaiting the new Prime Minister’s attention. Who are the Talibans? Nawaz Sharif had clearly articulated his preference for dialogue with the Taliban to overcome the serious dangers that they pose to the country’s security and stability. He also called for an end to the drone attacks by the US in his speech in Parliament after his election as the Prime Minister. 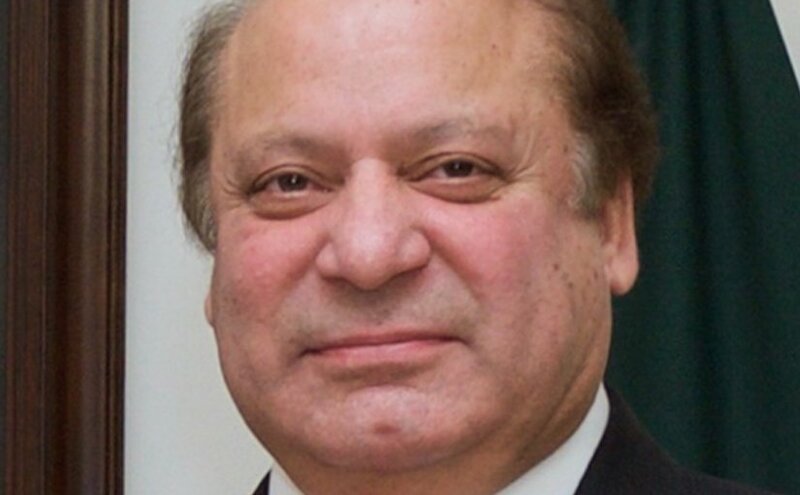 Pakistan’s Nawaz Sharif. Photo Credit: US State Department, Wikipedia Commons. Nawaz Sharif’s willingness to resolve the Taliban issue through dialogue, if possible, has generated a heated debate in the country on its pros and cons. The liberals, on the whole, are opposed to the idea, while the conservative parties and groups seem to favor the dialogue option. Contrary to the fashionable view in Pakistan, the Taliban as an organized group emerged much after the withdrawal of the Soviet troops from Afghanistan in 1989. It is true, however, that many of the leaders and members of the Taliban had played an active role in the Afghan jihad against the Soviet occupation. The emergence of the Taliban as an organized group in Afghanistan under the leadership of Mullah Omer in 1994 was, in fact, a movement of protest against the lack of peace and stability, which prevailed in Afghanistan after the fall of the Najibullah regime and the alienation of the Afghan people because of the excesses of the various Afghan commanders. Central Asia has been unimaginably transformed by the long and arduous Soviet presence in the region and communist austere indoctrination that not only destroyed the local culture and belief but created subservient and docile elites believing strongly, and, almost blindly, in the utopian Bolshevik project of remaking the world. This absurd project featured a sustained assault on Islam that destroyed patterns of Islamic learning and thoroughly de-Islamized public life. Islam became synonymous with tradition and was subordinated to powerful ethno-national identities that crystallized during the Soviet period. This legacy endures today and for the vast majority of the population, a return to Islam means the recovery of traditions destroyed under Communism. The secularization of Islam in Central Asia compares greatly to experiences in Turkey, the former Yugoslavia, and other secular Muslim states. However, a 2009 Pew Research Center report stated that Uzbekistan’s population is 96.3% Muslim.iii An estimated 93,000 Jews were once present. Despite its predominance, the practice of Islam is far from monolithic. Many versions of the faith have been practiced in Uzbekistan. The conflict of Islamic tradition with various agendas of reform or secularization throughout the 20th century has left the outside world with a confused notion of Islamic practices in Central Asia. In Uzbekistan the end of Soviet power did not bring an upsurge of Islamic fundamentalism, as many had predicted, but rather a gradual re-acquaintance with the precepts of the faith. However after 2000, there seems to be a rise of support in favor of the Islamists, which is whipped up by the repressive measures of the authoritarian regime. For the most part, however, in the first years of independence, Uzbekistan is seeing a resurgence of a more secular Islam, and even that movement is in its very early stages. According to a public opinion survey conducted in 1994, interest in Islam is growing rapidly, but personal understanding of Islam by Uzbeks remains limited or distorted. For example, about half of ethnic Uzbek respondents professed belief in Islam when asked to identify their religious faith. Among that number, however, knowledge or practice of the main precepts of Islam was weak. Despite a reported spread of Islam among Uzbekistan’s younger population. An estimated 6,500 people are in jail in Uzbekistan because of their religious or political beliefs. More than half are accused of being Hizbu Tahrir (HT) members, while most of the others are branded as Wahhabis, who practice the Saudi brand of Sunni Islamic extremism. Following the collapse of the Soviet Union in 1991, there was a great revival of religious activity in Central Asia. Mosques mushroomed, partly supported by Pakistani and Saudi money. A brand of radical, internationalist Islam gave birth to the Islamic Movement of Uzbekistan (IMU) and HT. In 1999 and 2000, fighters of the IMU in Tajikistan attempted incursions into Uzbekistan. Terrorist attacks in Tashkent in 1999 were attributed by the authorities to Islamic radicals, and were dealt with ruthlessly. The Islamic Movement of Uzbekistan (IMU) was formed in 1998 with the objective to create an Islamist state in Uzbekistan. In the following years, this organization expanded its goals, and now aims to create an Islamist state across Central Asia, in an area sometimes referred to as Turkistan. 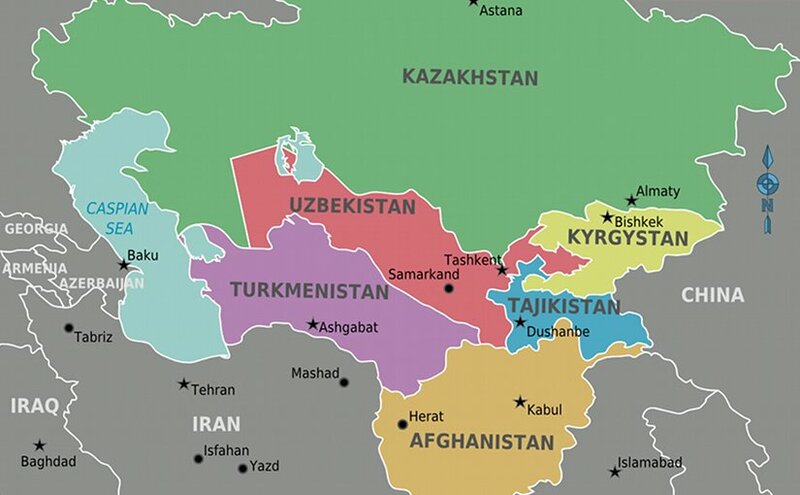 The theoretical Islamist state would encompass Uzbekistan, Kyrgyzstan, Tajikistan, Kazakhstan, Turkmenistan, and the Xinxiang province of China. With this enlarged goal in mind, some members of the group began to refer to themselves as the Islamic Party of Turkistan. IMU is comprised of Islamic militants from Uzbekistan and its Central Asian neighbors. The group was co-founded by a mullah in the Islamic underground and a former Soviet soldier who served in the Soviet-Afghan war. It was the co-founders experience in fighting against the mujahidin in Afghanistan that eventually led him to radical Islam and an alliance with Osama bin Laden. As the Islamic Movement of Uzbekistan grew increasingly close to bin Laden and al-Qaeda, the group began to subscribe to the al-Qaeda ideology and objectives. Therefore, IMU’s attacks against Afghanistan’s Northern Alliance on behalf of al-Qaeda and Taliban, as well as their increasingly broad objectives to create a regional Islamic state, can be traced to its involvement with bin Laden. In return, IMU received money from bin Laden, safe haven from the Taliban, and a hand in the drug trafficking trade between Afghanistan and Central Asia. With IMU’s increased interest in a regional Islamic state, this entity shifted from attacking strictly Uzbek targets to attacking coalition forces in Afghanistan and U.S. diplomatic facilities in Central Asia. However, IMU’s repeated defeats in these anti-Coalition engagements have all but completely destroyed the group. The TTP and the Islamic Movement of Uzbekistan (IMU) have a long history of collaboration. At one point prior to his appointment as TTP chief, Baitullah Mehsud lived with Tohir Yo’ldosh, the IMU’s former leader, who became an ideological inspiration and offered the services of his 2,500 fighters to Mehsud. As a counterbalance to militant Islam in Uzbekistan and Central Asia, there is an interesting revival of Sufi Islam that preaches integral piety, love of the other, internal peace and fusion with the creator. Malaysia is a multi-confessional country with Islam being the largest practiced religion, comprising approximately 61.4% Muslim adherents, or around 17 million people, as of 2010. vii Article 3 of the Constitution of Malaysia establishes Islam as the “religion of the Federation”. However, Malaysia’s law and jurisprudence is based on the English common law. Shari’a law is applicable only to Muslims, and is restricted to family law and religious observances. Therefore, there has been much debate on whether Malaysia is a secular state or an Islamic state. 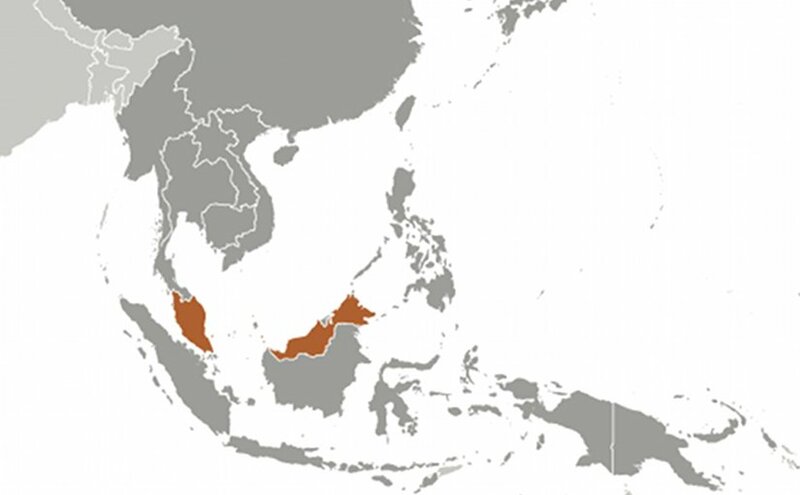 Nine of the Malaysian states, namely Kelantan, Terengganu, Pahang, Kedah, Perak, Perlis, Selangor, Johor and Negeri Sembilan have constitutional Malay monarchs (most of them styled as sultans). These Malay rulers still maintain authority over religious affairs in states. The states of Penang, Malacca, Sarawak and Sabah do not have any sultan, but the king (Yang di-Pertuan Agong) plays the role of head of Islam in each of those states as well as in each of the Federal Territories of Kuala Lumpur, Labuan and Putrajaya. The Malay ethnic group has been divided politically, and therefore they require the support of either Chinese or Indians in order to gain political dominance. This situation leads to a central fact in the country’s political life: Malay-Muslim dominance has always been negotiated amongst various forces. Inter-ethnic and inter-religious coalition parties, whether in opposition or ruling parties, have dominated the country’s electoral politics in post-independence politics. One complication is that the increased emphasis on Malay and Islamic identity in economic and public life has exacerbated the problematic of relations between Malay-Muslims and non-Malay non-Muslims. The idea of Malaysia as a united nation-state, or Bangsa Malaysia, has been challenged. Still, most religious and ethnic minorities have decided to remain Malaysian and enjoy the benefits of the relatively strong economy of the country. It is noteworthy, for example, that the recent economic crisis did not lead to an out-migration of Chinese and Indians as witnessed in some of the other countries hit by the financial crisis. In fact, these minorities have at times openly supported the troubled Mahathir government. The main reason for this support may be a desire to assure a stable political system that will ensure the safety of their economic interests. Indonesia, where nearly 90% of the populace is Muslim, is the world’s largest Islamic country. However, Islam has never played a central role in the country’s politics. Nevertheless, there has been a persistent tension between those advocates of a more prominent and formal role for Islam in the country, and those who resist making Islam an organized political actor. In the late 1980s, under the now defunct New Order era of former President Suharto, there was an effort to reach out to Muslims and Islam in a more explicit way. The main reason for this was President Suharto’s desire to widen his power base beyond the military and the secular ruling political party, Golkar. A symbolic indication of this effort was President Suharto’s decision in 1990 to make his first trip or Hajj to Mecca. Other steps on the path to Islamization of the New Order regime included reversing the ban on the wearing of hijab (head covering) for female students in state-run schools and the founding of the country’s first Islamic bank. Roughly a decade after Suharto’s attempt to encompass Islam in the political sphere, the New Order collapsed. On 21 May 1998, President Suharto resigned. In essence, the effort by Suharto to widen his political base by reaching out to Islam did not prevent the fall of his regime. While Suharto’s efforts in the preceding several years to cultivate Islam may have re-invigorated Islamic groups and organizations, the current evolving role of Islam in the politics and policy-making of post-Suharto Indonesia is likely to be more sustainable then it was at the beginning of Suharto’s New Order era. A major reason for this expectation is that there has been, over the past decades, a surge in religious consciousness among many circles within the Indonesian Muslim community. Islam has not been a monolithic force in the politics of Indonesia. There have been divergent views amongst several Islamic organizations and movements, most prominently the NU and the Muhammadiyah. The New Order government’s policy of diminishing the role of political parties combined with the military’s suspicion of Islam, led Islamic organizations to concentrate on religious, social and educational activities rather than politics. This very shift in emphasis led to Indonesian society becoming more Islamicized, including the rise of a Muslim middle class that entered both the government and the military. These changes in part led the military to reassess its view of Islam’s role in Indonesia. Moreover, in the post-Suharto context of Indonesian politics, Islam has emerged as, perhaps, the most important force. Islam is likely to be a major force in the politics of Indonesia for the foreseeable future. 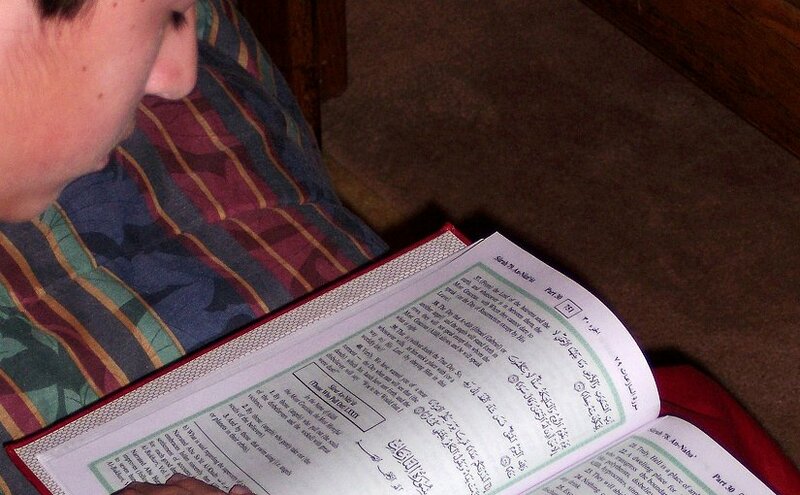 A boy reading the Koran. For centuries Islam in Asia was renowned for its adaptability to local practices and tolerance of other religions. Over the past three decades, however, fundamentalists have tried to homogenize Islam, introducing new tensions. More than any other factor, what has fueled conflicts and divided Muslims and others in otherwise tolerant and harmonious plural societies of Asia, is the slow but steady process of the transformation of Islam in the region, from a syncretic and inclusive Islam to a puritanical and exclusivist one under the influence of ideas, norms, practices, and finances flowing from the Arab world. The “Islam of the desert” has made inroads across the Indian Ocean. 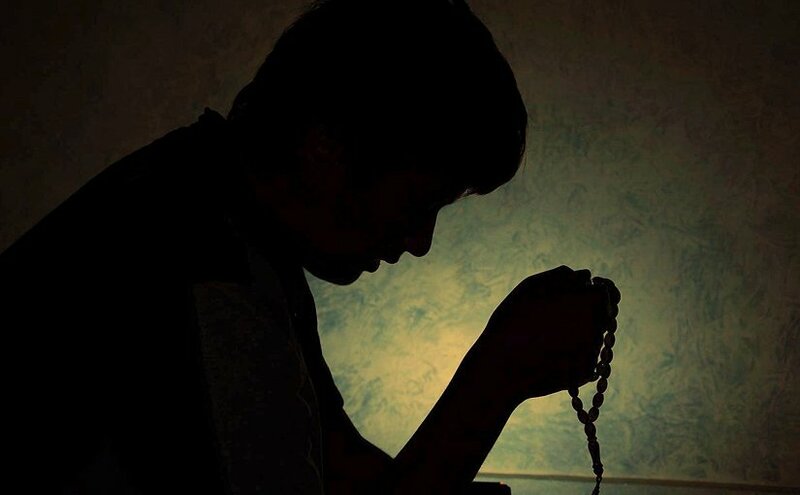 This process of homogenization and regimentation—a process referred to as the “Arabization” of Islam—puts greater emphasis on rituals and codes of conduct than on substance, through the Wahhabi and Salafi creeds, a rigidly puritanical branch of Islam exported from, and subsidized by, the Kingdom of Saudi Arabia. The internationalization of Islam drew Asian Muslims to the desert and brought the desert to them. Such “globalization of political Islam” could threaten stability throughout Asia and the world. Unfortunately, too many proponents of any form of fundamentalism rely on it as a tool, not for inspiring spirituality, but for acquiring economic or political power. Morocco and Indonesia, according to the American anthropologist Clifford Geertz, have some parallel with each other in terms of faith, in the cultural area. In his acclaimed work entitled: “Islam Observed: Religious Development in Morocco and Indonesia”ix, which remains today one of the most authoritative works in comparative religion between two Muslim countries on the two edges of the geographical area of the Muslim world. In this fascinating study, Clifford Geertz begins his argument by outlining the problem conceptually and providing an overview of the two countries. He then traces the evolution of their classical religious styles which, with disparate settings and unique histories, produced strikingly different spiritual climates. So in Morocco, the Islamic conception of life came to mean activism, moralism, and intense individuality, while in Indonesia the same concept emphasized aestheticism, inwardness, and the radical dissolution of personality. In order to assess the significance of these interesting developments, Geertz sets forth a series of theoretical observations concerning the social role of religion. He explores the impact of local culture and “common sense” on Islam (and the reverse) by tracing the evolution of Indonesian and Moroccan classical religious styles, and manages to unravel theory into accessible threads and uses this final chapter to weave together the earlier chapters. This book is, essentially, an exploration of religion’s impact on collective consciousness in Indonesia and Morocco. In essence, the book is primarily a comparative examination of how Indonesia and Morocco, both Muslim countries, have developed in religious belief and to some extent in political belief, according to their different geographical environment, economic structure and cultural history. The author’s argument begins from the contrast between the tribesmen/townsmen symbiosis of Moroccan society, with its uncertain pastoral and agricultural base and the mature peasant society of the major part of Indonesia, with its highly productive wet rice civilization. “In Morocco, civilization was built on nerve; in Indonesia on diligence”. The turbulent Arab-Amazigh/Berber Moroccan background gave value to both visionary devoutness and self-assertion combined on occasion in the key figure of the warrior-saint; the classical Indic civilization stressed more aesthetic and philosophic values, seen over a much more complex syncretistic range. Where Moroccan religious ideology developed a rigorous fundamentalism, Indonesian proliferated into more abstract symbolism, pragmatic in allowing much more scope for variation. But in both a basic problem, is not so much what to believe as how to believe it. Increasingly, people hold religious view rather than are held by them; there is a difference between being religious-minded and being religious. In a similar work entitled: Islam in Tribal Societies: From the Atlas to the Indus, edited by Akbar S. Ahmed and David M. Hartxii, these two prominent academics and anthropologists conducted a lively debate in the social sciences around the concepts of “tribe”, “segmentary societies” and “Islam in society”. This wide-ranging collection by thirteen distinguished anthropologists contributes to the debate by examining various segmentary Islamic tribal societies from Morocco to Pakistan. The presentation on the roles of Islam in Pakistan, Uzbekistan, Malaysia, and Indonesia suggests that Islam’s role in politics, societies and economies has grown. Despite the growing role of Islam and the rise of more activist and religious Muslim middle classes, there appear to be few signs of an Islamic fundamentalist trend in Asia. The point was made repeatedly that Islam in most of Asia must compete with other identities, most notably ethnicity. Moreover, Islam in Asia generally is built on pre-Islamic influences such as Hinduism and Buddhism which still persist. All of these factors tend to make Islam in Asia of a variety different from the more doctrinaire influences of the Arabian Peninsula. Only in one country, Pakistan, does it appear that Islam is threatening to take an extra-parliamentary role towards politics. Islamic politics of the street intended to undermine Pakistan’s barely functioning democracy is possibly a real danger to the political stability of the country. Just how serious a threat Islam poses to Pakistan’s political system, and how soon, is a matter of speculation. But what is not beyond doubt is that factional fighting between Sunni and Shia Muslims in Pakistan has grown, and so, too, has intolerance against the country’s minority communities whether they are Christian, Hindu or Ahmadi. In Indonesia and Malaysia, where Islamic identity and activity in social, economic and political dimensions has been on the increase, political stability arising from Islam’s role is not the critical issue. Rather, the compelling issues appear to be accommodating Islamic activism in the emerging politics of the two countries and protecting the rights of minorities. The New Order of Suharto’s Indonesia did not collapse because of Islamic activism, and Islam is not behind the rough political dynamics of Malaysia during the past two years. But, as both countries move through an era of political change, Islam will certainly be one if not the most critical of the many factors shaping the future. The role of Islam in Asian regional politics is extraordinarily complicated and differs from sub-region to sub-region not to mention across Asia. In South Asia for example, Islam has not proved to be a tie that binds as indicated by the separation of East Pakistan (Bangladesh) from co-religionist West Pakistan in 1971. (The majority-Hindu states of India and Nepal certainly have not always had good relations either). Intra-regional relations in South Asia are certainly complicated by religion (whether Islam or Hinduism, or for that matter Buddhism) but religion does not shape these relations. Nationalism, power politics, and ethnic identities are much stronger factors in intra-regional relations. All in all, it appears that none of the Asian countries considered in this work, with the possible exception or Pakistan, are in danger of being thrown into turmoil and instability due to an Islamic revolution. There are ways in which the role of Islam may affect the stability of the some of these states, however; such as incorporating Islamic political parties in the new dispensation in Indonesia or ensuring the confidence and safety of non-Muslim minorities in Malaysia and Indonesia. In India and Philippines, non-Muslim majorities must work to ensure the confidence and safety of the minority Muslim community. There are also legitimate questions about the degree to which Islam will affect the definition of nationalism in Muslim-majority countries of the region. vi. Cf. Produced by Charlotte Buchen. “Sufism Under attack in Pakistan” (video). The New York Times. viii. Cf. Yusufzai, Rahimullah (22 September 2008). “A Who’s Who of the Insurgency in Pakistan’s North-West Frontier Province: Part One – North and South Waziristan”. Terrorism Monitor 6 (18). ix. Cf. Abbas, Hassan (January 2008). “A Profile of Tehrik-I-Taliban Pakistan” (PDF). CTC Sentinel (West Point, NY: Combating Terrorism Center) 1 (2): 1–4. x. Cf. j Carlotta Gall, Ismail Khan, Pir Zubair Shah and Taimoor Shah (26 March 2009). 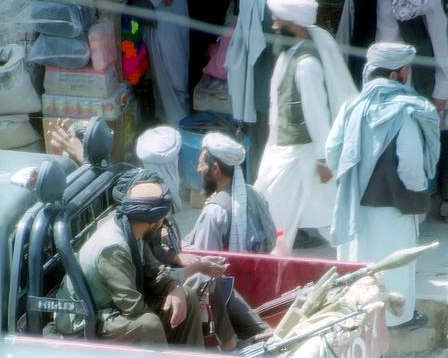 “Pakistani and Afghan Taliban Unify in Face of U.S. Influx”. New York Times. xi. Cf. Gall, Carlotta; Sabrina (6 May 2010). “Pakistani Taliban Are Said to Expand Alliances”. The New York Times. i. Cf. Crews, R.D. 2009. For Prophet and Tsar: Islam and Empire in Russia and Central Asia. Harvard University Press. iv. Cf. Louw, M. A. 2009. 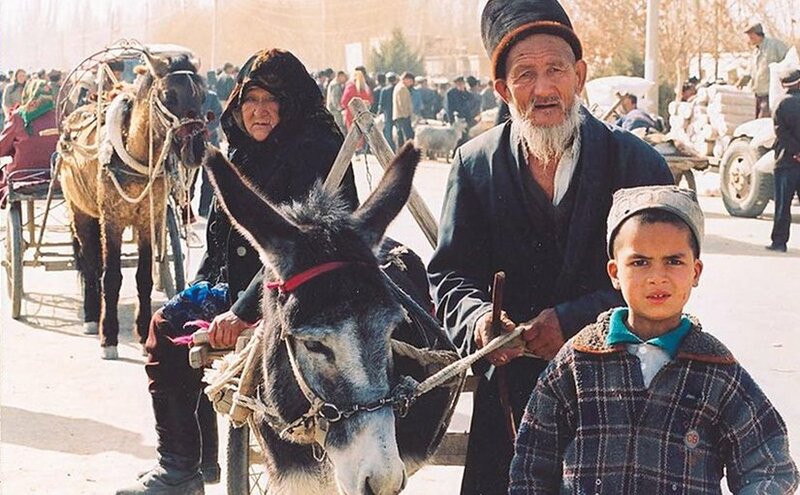 Everyday Islam in Post-Soviet Central Asia. Routledge. v. Cf. Rasanayagam, J. 2011. 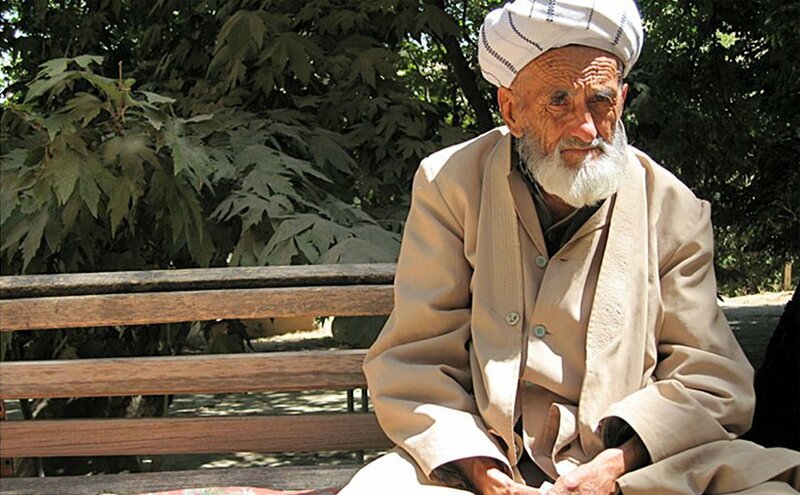 Islam in Post-Soviet Uzbekistan: The Morality of Experience. Cambridge University Press. ix. Cf. Geertz, C. 1971. Islam Observed: Religious Development in Morocco and Indonesia. University of Chicago Press. x. Cf . op. cited. xi. Cf. op. cited, p. 11.
xii. Cf. Akbar S. Ahmed and David M. Hart (ed. ): Islam in tribal societies: from the Atlas to the Indus. 343 pp. London: Routledge and Kegan Paul, 1984. The analysis of Islamic conquests of South Asia and Southeast Asia are very superficial and lead to the suspicion that Islam actually spread by the sword except in southern India. Think of the conquest of Rajasthan.